Why Make The Switch to Third Party Logistics? 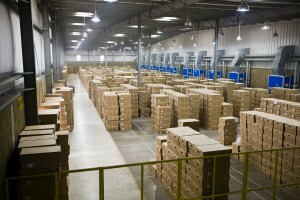 Third party logistics, or 3PL, is becoming more and more indispensable in the business world. Companies everywhere are seeing the value of outsourcing their logistics needs to other companies; in fact, over 82 percent of all Fortune 500 companies use 3PL as a part of their standard business practices! So what are the big benefits drawing people towards 3PL services? Read on to find out. 3PL Helps You Deal With Change: From day to day, week to week, or month to month, your company’s logistics needs may change. You may suddenly have fewer shipments going out, and so maintaining your own drivers and trucking fleet may no longer make financial sense. Rather than waste resources on operating costs you don’t need, working with a third party logistics company allows you to customize from shipment to shipment, saving you a lot of money in the process. 3PL Reduces Risk Factors: If you opt to handle your own logistics decisions, you inherently take on a lot of risk. With all the other aspects of your business you have to run, you may not have the time to thoroughly look into the different trucking fleets and carriers you’ll be entrusting your important shipments with. But by establishing a relationship with a third party logistics company, you will always be sure that your shipments are in good hands. 3PL Keeps You on Schedule: Running your business takes time and effort, time and effort that you do not have to spare to track and route your shipments. Rather than running the risk of an important package showing up late, opt for a third party logistics company. They will be able to ensure that your shipments go out and arrive on time, no matter what. This entry was posted on Thursday, June 18th, 2015	at 1:54 pm	and is filed under Business Basics	. You can follow any responses to this entry through the RSS 2.0	feed. Both comments and pings are currently closed.